Unfortunately for homeowners, squirrels are active during each of the four seasons. This means you are likely to come across some squirrel-related issues this fall and beyond. Squirrels are known to shelter in attics, garages, and sometimes even within peoples’ homes. Ultimately, squirrels will look for any place that remains warm and safe to stay in for a long period of time. To learn more about squirrels in Ohio, click this link to the ODNR site. Peoples’ homes tend to be fantastic for squirrels to take shelter in. Likewise, attics provide plenty of space, protected from the cold and snow, and little chance to have to defend themselves against other creatures. for housing squirrels. Furthermore, there may be a source of food and water available depending on the particular house. Buckeye Wildlife Solutions is Columbus, Ohio’s top squirrel removal service. Call (844) 544-9453 today for expert squirrel removal service! A squirrel feeding in the streets of Columbus, Ohio. How Do Squirrels Get Inside My Home and Attic? Squirrels, like many pesky rodents, can fit into tight spaces. Likewise, they will use gaps in your roof, attic, windows, and more to get inside your home. They are great at climbing and can use tree branches, telephone wires, and other structures to gain entry to your attic.With so many avenues to get into your home, it is important to acknowledge them all. Buckeye Wildlife Solutions will survey your property completely to figure out how squirrels are entering your home. Once we determine possible entry points, we will work to fix each one completely. Call (844) 544-9453 today for expert squirrel removal service! Usually, trapping is the best way to remove squirrels from your home or attic. After a rigorous examination of your unique situation, we will design a customized removal plan for you. Once we decide the best route to pursue to get squirrels out of your home, we will enact your removal plan and get rid of problem squirrels for good. 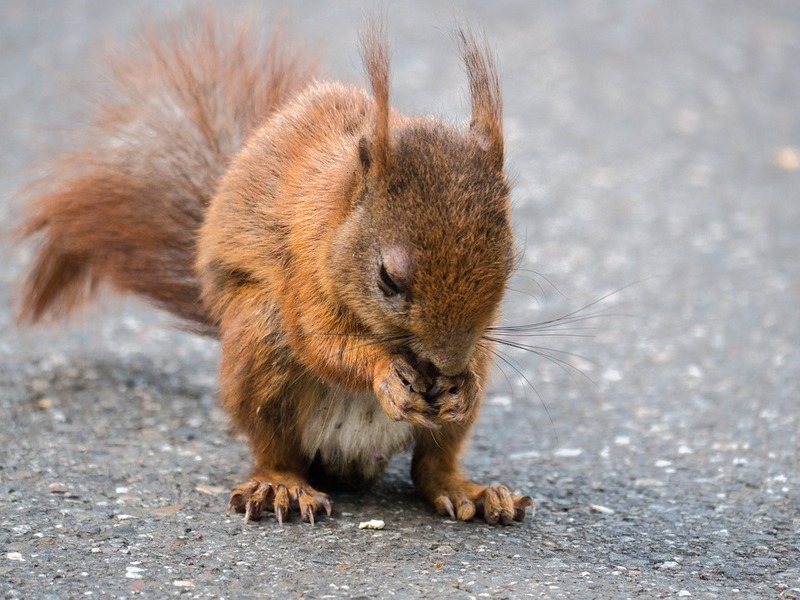 Our team possesses the experience and knowledge necessary to solve any squirrel issue you may have. Buckeye Wildlife Solutions is Columbus, Ohio’s top squirrel removal service. Give us a call today at (844) 544-9453 and put your worries behind you!